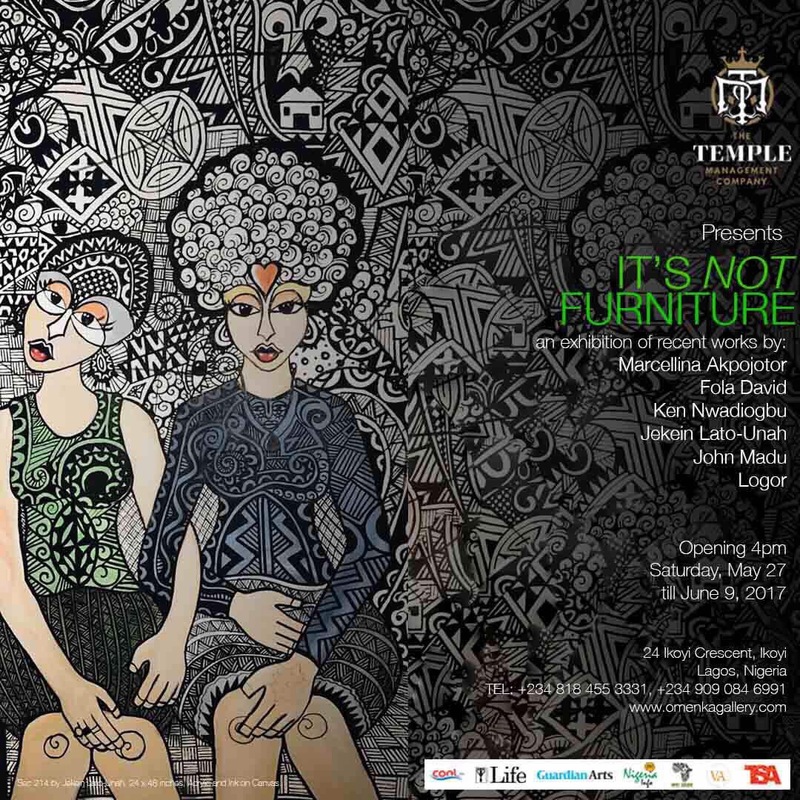 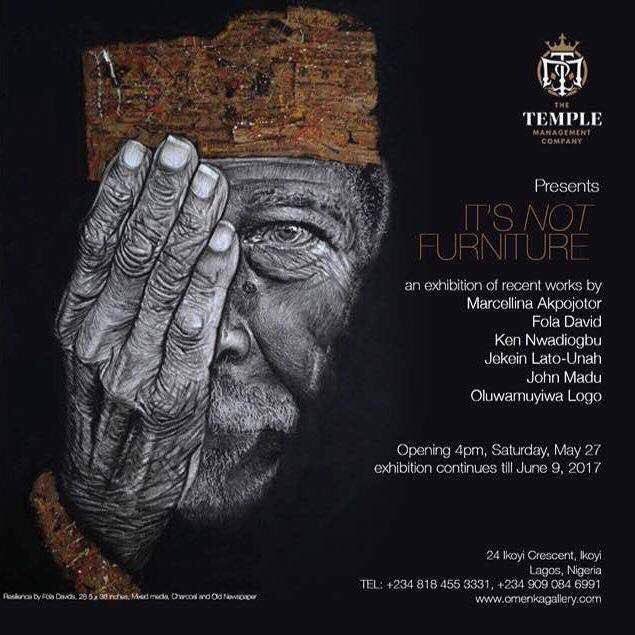 The Temple Management Company’s Art Division presents its very first solo exhibition It’s NOT Furniture. 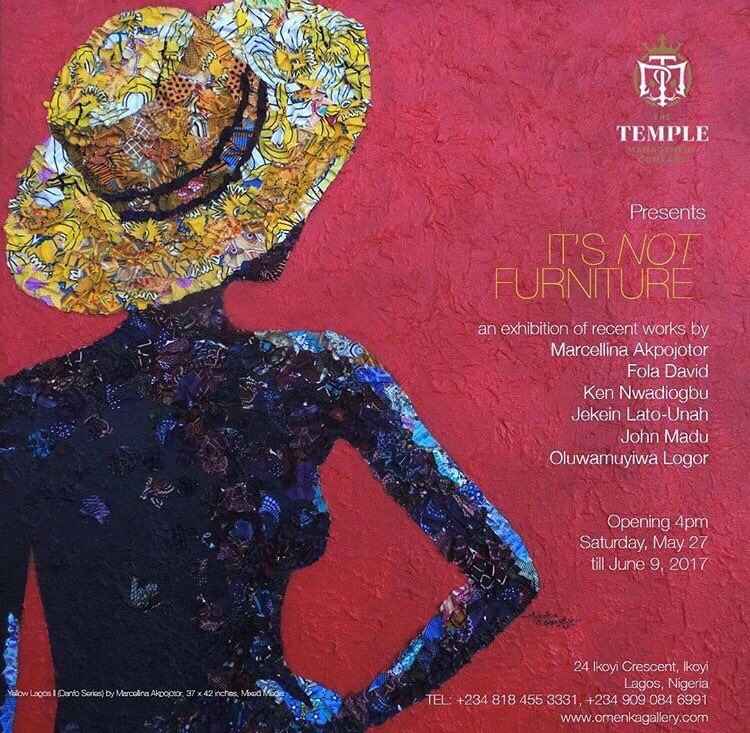 The event, which will be holds at the Omenka Gallery, Lagos between May 27th and June 9th 2017, will see a gathering of Art enthusiasts, collectors and works from six contemporary artists ranging from Mixed media to Charcoal drawings. 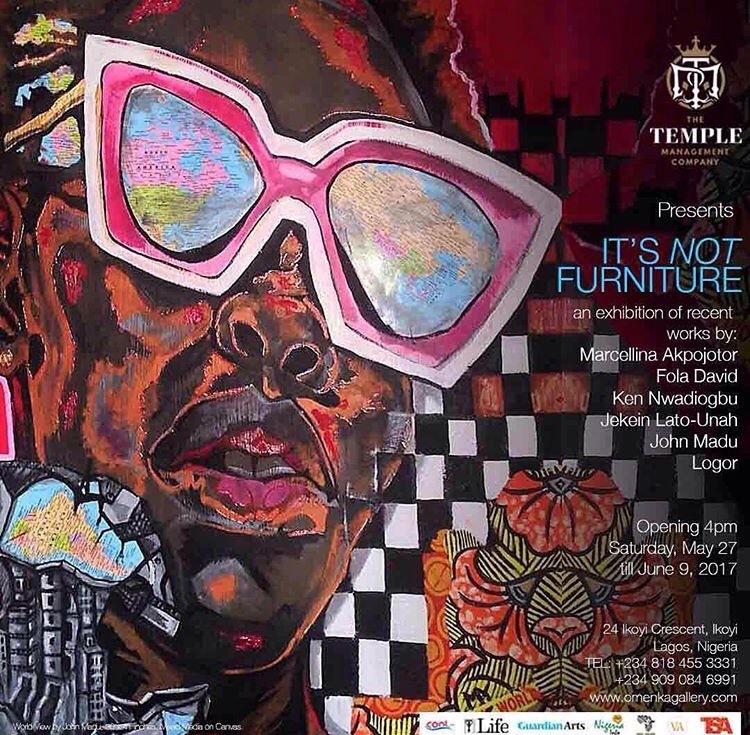 Temple Art Manager, Winifred Okpapi, said: “Temple Arts aims to create artistic experiences that catalyse cultural exchanges, connect communities, and engage the public’s imagination.